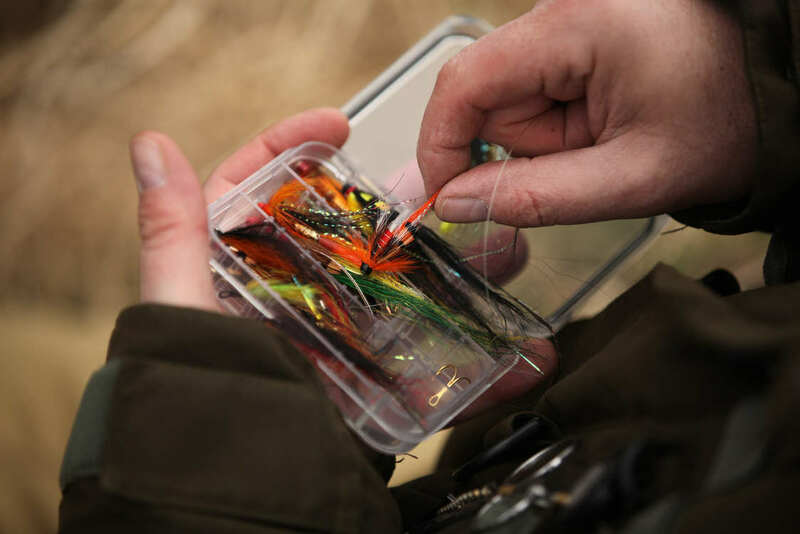 In 2017 Stobhall anglers will fish the LOWER Beat on Monday, Wednesday, Friday and the UPPER Beat on Tuesday, Thursday, Saturday. 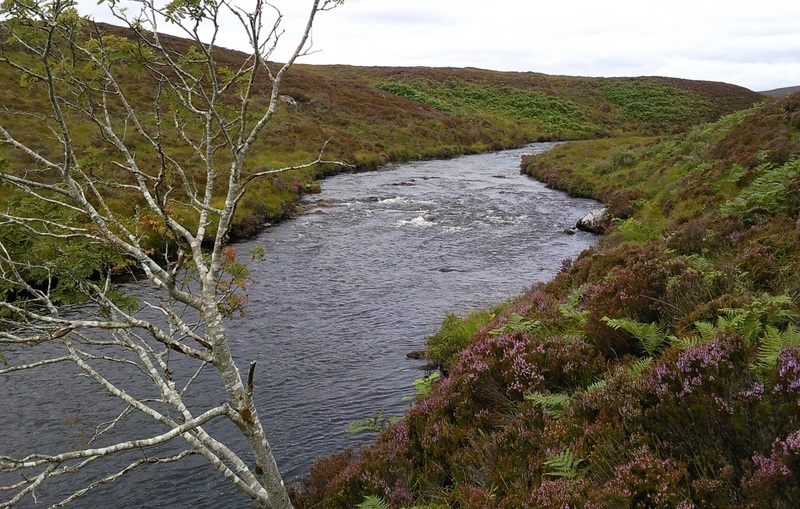 The water is varied and ranges from some wonderful fast runs offering first class fly-fishing, to deeper pots which hold fish at all water heights and are perhaps more suited to spinning. The beat as a whole fishes best given a rise in water. On the Lower Beat is the awesome Campsie Linn and the legendary Linn Pool. 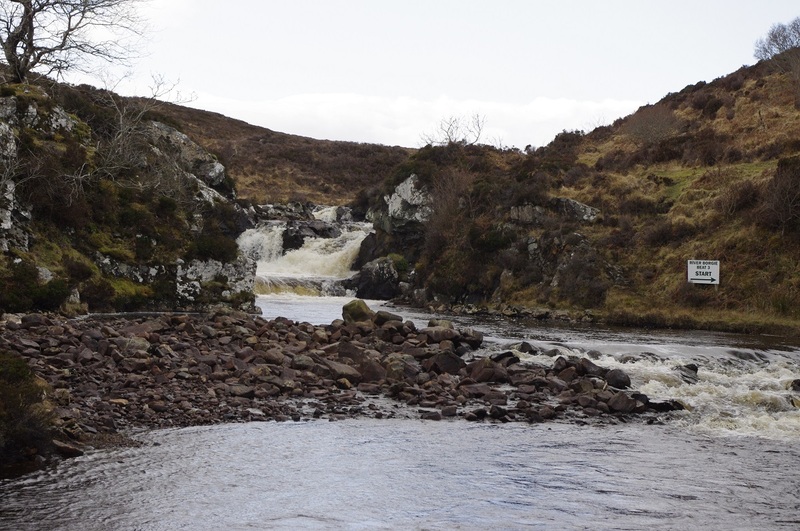 At Campsie Linn, the highest volume waterfall in Britain, the whole of the Tay is forced through a narrow gap in a rock ledge and gushes out into a huge boiling cauldron, the Linn Pool. Set against the backdrop of Stobhall Castle, Taymount House and steeply sloping wooded banks the scenery is positively breath-taking. Stobhall is an excellent beat throughout the season. 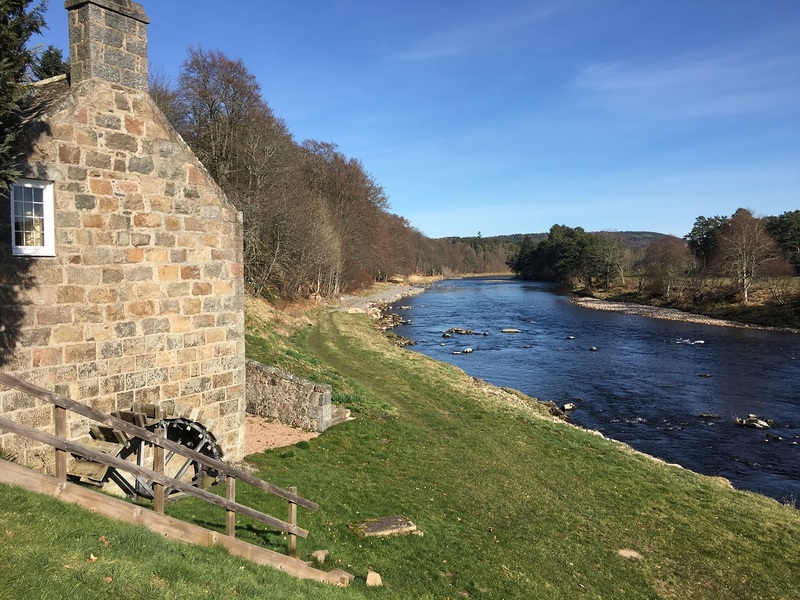 In the spring the Linn Pool is one of the best casts on the whole Tay, especially if the river is high and fish are queuing to run the Linn. In late summer and autumn the whole beat is normally full of fish providing glorious sport. There are two ghillies and on each beat there are two boats and a well appointed fishing hut. Stobhall has always had a reputation for big fish. In the past many of the Tay's monsters were caught here. Several fish over 50 lbs were landed from the Major's Cast early in the 20th century. Take the B9099 road leading north from Stanley and turn right at the sign for Kinclaven/Blairgowrie/Ballathie Hotel after a few hundred yards. After around 0.5 mile turn right at the sign "Taymount Estate". Go straight down the drive until the sign "Taymount Estate" directing you to the right and follow the road down the hill and bear left at the bottom passing the white house on your left. This track brings you to the lunch hut. Take the B9099 road leading north from Stanley and turn right at the sign for the Kinclaven/ Blairgowrie/ Ballathie Hotel after a few hundred yards. Follow this road for around 1.5 miles until you reach Innernyte Farm(PH1 4QH) on the left, opposite which, on the right hand side, there is track which leadsyou to the lunch hut.